A murder investigation has been launched after a Nigerian teenager was stabbed and died from his injuries in Chislehurst, South east London. Oluwadamilola Odeyingbo, 18, died on Wednesday, January 10, of injuries he received during a reported fight in Empress Drive just after 9pm the previous evening. Police were called on Tuesday, 9 January to reports of a fight on Empress Drive. Officers attended to the victim. He was taken by the London Ambulance Service to a south a London Hospital where he passed away. A post-mortem examination began on Friday, January 12, but has not been finished. 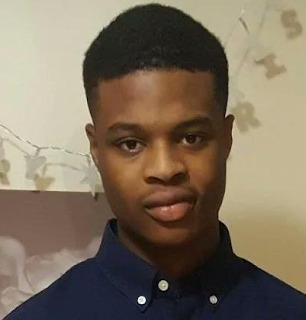 As part of the investigation, an 18-year-old man was arrested on suspicion of murder on Wednesday, and has been bailed until early February. "We understand that neighbours and people passing through the area witnessed the incident on Tuesday evening. We are keen to speak to all witnesses and would encourage them to come forward as soon as possible. A young man has lost his life and we are doing everything we can to piece together what took place." According to Twitter user, Femo, his aunt, the boy's mother had left Nigeria to the UK to get a better life.